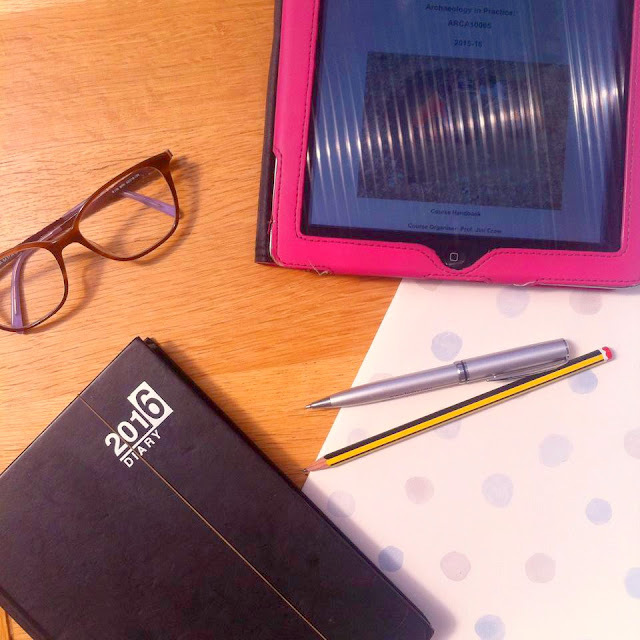 This time last year I wrote a blog post reflecting on my finishing second year of university (if you want you can have a read of that here) and I've decided to write another one about this year. I like to add a more personal post here and there on the blog - after all it is a lifestyle blog. The other day I submitted my subject choices for next year, my final year of studying. I don't think you'd realise how scary that is unless you're sat in my position too. Saying that, I am incredibly excited for my fourth year, and the subjects that I've chosen really interest me. Third year, however, has been my year. Or at least I've tried to make it my year. So I thought I'd go through what has made this year so great and offer a little advice here and there too. In third year we're allowed to chose our own subjects, something which I was really looking forward to. I chose Constantinople and The Cities of Asia Minor, Archaeological Illustration, Death Decay & Reconstruction and Island Worlds, alongside the two mandatory courses Archaeology in Practice and Theoretical Archaeology. 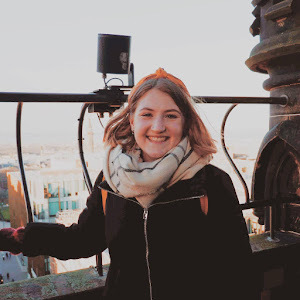 Being able to chose my subjects made a real difference - I chose topics that genuinely interest me and that I would feel excited to learn about. Coming out the other side of the year, I'm so happy with my subject choices and I can't urge you enough to properly research each of the subjects you're taking. Finding courses that you enjoy can really help motivate you, and I never once felt the need to skip classes nor fell asleep in any, so important when these classes and grades now count. My favourite class was Island Worlds - I found myself really interested in the Mediterranean prehistoric societies, and potentially would like to continue down that line in the future. I also found the Illustration course really useful - I mainly chose this course as it offered a more practical element and will be definitely useful in my future work as an archaeologist. My favourite thing about this year was that I've started to get to know the lecturers. First and second year lectures were so detached, and I never felt comfortable approaching my lecturers. This year I tried to get my name out there and let the lecturers know who I am. I wasn't as afraid to answer in class (although being a shy person by nature still means I'm not totally comfortable just speaking out) and I went to discuss things with them. Now many of the lecturers and professors know me by name and even stop to talk to me in the corridors or in an elevator ride. I think this has been a real benefit as its made me more comfortable in my classes and has even got me a couple of opportunities now that the lecturers know my interests. One of the best things I can recommend for university is getting work experience. I know, its something that lecturers, career advisers and the like try to drill into you, but I can't recommend it enough either. Looking at my CV at the start of the year, I had little experience to boast about come graduation. So I decided for this year to try and bump up my CV and make me a bit more desirable to employ. I've been volunteering as a library helper in my school's library - not quite as relevant to my degree, but still useful. Okay - it's not the most interesting thing to do but I get some free print credit for the year and a spot in the very busy library for a couple of hours a week. It's opportunities like this that I want to find more of, where there's not a huge amount of responsibility but a good reward. I've also volunteered in our school's teaching collection / mini museum if you will, called the Childe Collection. In the archaeology world, Gordon Childe is a big deal - especially to us in Edinburgh as he taught here. And we're lucky enough to have his antiquary collection which has grown and grown over the years. I've helped out to catalogue and accession many of the artefacts we have, meaning I get some invaluable experience that is directly related to my future career. I've also grabbed some opportunities volunteering with Aberdeen City Council's archaeology collection, as well as acting as an 'Archaeology ambassador' for the school on open days. It's all these little things that can really add bulk to your CV and set you aside from other candidates. Going above the minimum of getting the grades shows that your passionate about your subject. And even if its not directly related to your degree, its all about how you sell it and yourself - something I've really learnt this year. And making those invaluable contacts can really help in the future, someone who knows your name or face can help to get you that job you're after. It can be the in to a company or organisation - even if its just I worked with this person who knows you. I've felt the best ever finishing this year - the most settled I've ever been. University is tough when you're just getting started - there's so many factors that you're trying to deal with, new lectures, new lecturers, new friends and often new cities. There's no right or wrong way to do university but it is important to be happy. And over the years I've become more and more happier. Finding a friendship group that makes you feel supported and loved, feeling at home with where you are living and getting dug into other activities - whether academic or sports clubs etc - all lie in the balance when weighing up whether your time is going to be good or bad. Don't worry if you don't figure it out straight away, it'll come and before you know it there won't be tears each time you leave for the train from home. Add in the comments any other advice you've got for other students, and let me know how your uni year is going!